Bitcoin Wallet if you are newcomer, you will find a variety of exchanges and wallets competing for their business. Some are full-blown exchanges for institutional traders, while others are simpler wallet services with a more limited buying and selling capabilities. 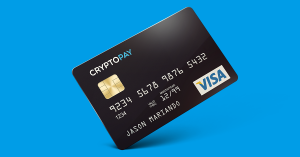 Most exchanges and wallets will store amounts of digital and/or fiat currency for you, much like a regular bank account. Exchanges and wallets are the best option if you want to engage in regular trading and speculation, don’t need total anonymity and don’t mind lengthy bureaucratic setup procedures that usually involve proof of identity and supplying detailed contact information. This is the law in most countries and no regulated exchange can get around it, as any company interfacing with the current financial system must meet ‘know your customer’ (KYC) and anti-money laundering (AML) requirements. The best exchange option also depends where you’re located. Coinbase is a popular wallet and exchange service that will also trade US dollars and euros for bitcoins. The company has web and mobile apps. Originally a US-only service, Coinbase has recently opened up to a large number of European countries. Circle offers users worldwide the chance to store, send, receive and exchange bitcoins. Currently only US citizens are able to link bank accounts to deposit funds, but credit and debit cards are also an option. Apps for iOS and Android are now available. Once you’ve set up your account, you’ll probably need to link an existing bank account and arrange to move funds between it and your new exchange account via wire transfer. This usually entails a fee. Some exchanges allow you to make a deposit in person to their bank account (that is, via a human teller, not an ATM). While people in most countries can transfer money to overseas accounts, fees are much higher and you may face more long delays changing your bitcoins back into fiat currency (should you still wish to do that). If you are required to link a bank account to use the exchange, it may only admit banks from that country. 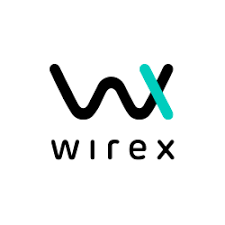 CryptoPay - Same as Wirex  Your Bitcoin wallet stores your digital cash for safekeeping, ready to convert into local currencies and spend using your CryptoPay payment debit card, plastic or online. Do you prefer to have offline Wallet? Check it out. Best Hardware Wallets on the market.